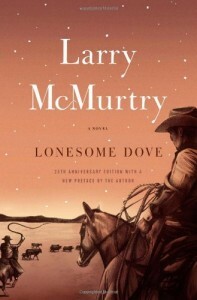 Have you ever heard about Larry McMurtry’s Lonesome Dove series ? 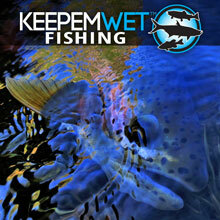 Because it’s definitely worthwhile ! I’ve read the first couple books a few years ago and these two books went straight to my top 10 books of all time. In France, they just published another volume, Comanche Moon. In the US, most of the books have been published a long time ago. It’s time for publishers to publish new editions, because to be honest I have had a hart time finding nice ones. Two volumes have not been published yet in France, one is called Streets of Laredo. and the other one is Dead Man’s Walk. I’m not going to talk about them today but North American readers can get them easily. Lonesome Dove (the second novel in the tetralogy) tells the story of Gus McCrae and Woodrow Call, a pair of longtime friends and former Texas Rangers who crave one last adventure before hanging-up their spurs. After stealing over a thousand head of cattle from rustlers south of the border, they recruit an unlikely crew of hands to drive the herd 3,000 miles north to the grasslands of Montana. It was the first one (two books) translated into French that I bought five years ago. In that story, the two heroes are getting pretty old. Comanche Moon joins the twenty-year time line between Dead Man’s Walk and Lonesome Dove, following beloved heroes Gus and Call and their comrades-in-arms – Deets, Jake Spoon, and Pea Eye Parker – in their bitter struggle to protect an advancing Western frontier against the defiant Comanches, courageously determined to defend their territory and their way of life. Two proud but very different men, our heroes enlist with a Ranger troop in pursuit of Buffalo Hump, the great Comanche war chief; Kicking Wolf, the celebrated Comanche horse thief; and a deadly Mexican bandit king with a penchant for torture. At once vividly imagined and unflinchingly realistic, Comanche Moon is a sweeping, heroic adventure full of tragedy, cruelty, courage, honor and betrayal – and the culmination of Larry McMurty’s peerless vision of the American West. So still hesitating ? Don’t ! Trust me, you won’t be open to put the books down ! In the tradition of Richard Ford, Annie Proulx, and Kent Haruf comes a dazzling debut story collection by a young writer from the American West who has been published in The New Yorker, Granta, and The Best American Short Stories. Annie, Richard and my sweet sweet Kent – I now want to talk about Callan Wink’s short stories. I’ve had the opportunity to meet in France this young American author, who was in residence in France. 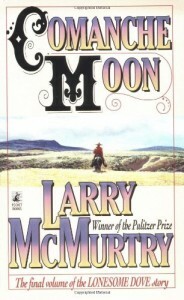 His collection of short stories, Dog Run Moon, is one of the best I have ever read. Stunning. 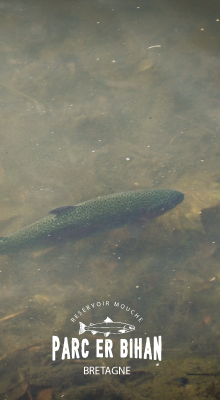 And that young man, who works as a fishing guide in Montana, was lucky enough to become friend with the great and late Jim Harrison. 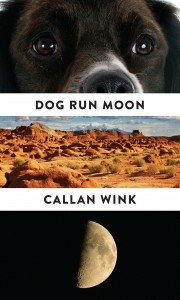 A construction worker on the run from the shady local businessman whose dog he has stolen; a Custer’s Last Stand reenactor engaged in a long-running affair with the Native American woman who slays him on the battlefield every year; a middle-aged high school janitor caught in a scary dispute over land and cattle with her former stepson: Callan Wink’s characters are often confronted with predicaments few of us can imagine. But thanks to the humor and remarkable empathy of this supremely gifted writer, the nine stories gathered in Dog Run Moon are universally transporting and resonant. All these books are available in any good bookstores or online. Merry Christmas ! Les bouquins de Peter Heller, notemment « Peindre, pêcher & laisser mourir » sont assez sympas aussi; c’est pas de la grande littérature mais ça se laisse, quand même, très bien lire. Merci pour cette nouvelle liste.